Jeffery is one of the country’s foremost composers and educators, equally at home in classical, contemporary and jazz music. Jeffery performs in recital with pianists Tim Watts and Henk Alkema, with the contemporary quartet ‘Saxology’ and his own band ‘The Reduced History of Jazz’. A recent and exciting project is with the creative performance and education based trio ‘ReedPlay’. He continues to perform with numerous jazz and new music ensembles. 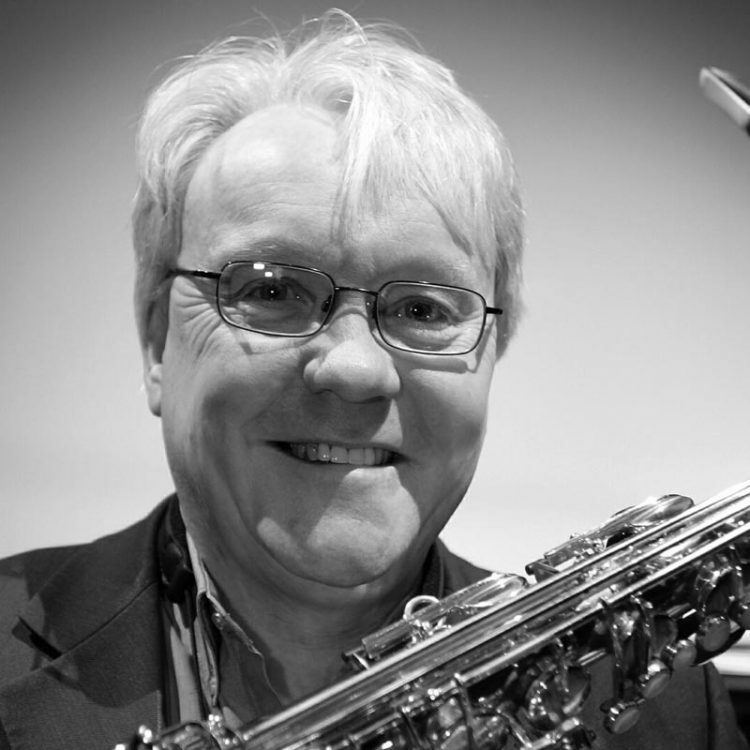 Jeffery was a visiting lecturer in composition, saxophone and improvisation at the Utrecht Conservatorium from 1986 and a supervisor on the music faculty at Cambridge University teaching history, analysis and jazz. Current and recent composing projects include a Bass Clarinet Quintet for Victoria Soames Samek and the Coull Quartet, a Clarinet Quartet for ‘Exchanging Blows’, ‘The Art of War’ for Brass Band and a new sonata for Tenor Sax and Piano called ‘The Iconic’ for a premiere at his own Purcell Room recital- (Feb 8th 2010). 2010 also sees the revival of a number of works –‘Young Person’s Guide to the Jazz Orchestra’, ‘Concerto for Timpani and Orchestra’, and the opera ‘The Way to Glory’. Jeffery values the support of his publishers – Camden Music, Brasswind Publications, Saxtet, Reedimensions, Queens Temple and Trinity Guildhall.